Cycling Wall Sticker. With the recent success Britain has enjoyed in cycling at the Olympics, the sport has increased in popularity. It seems that everyone is riding their bike to work. Help keep fit and motivated to ride your bike with this wall sticker. 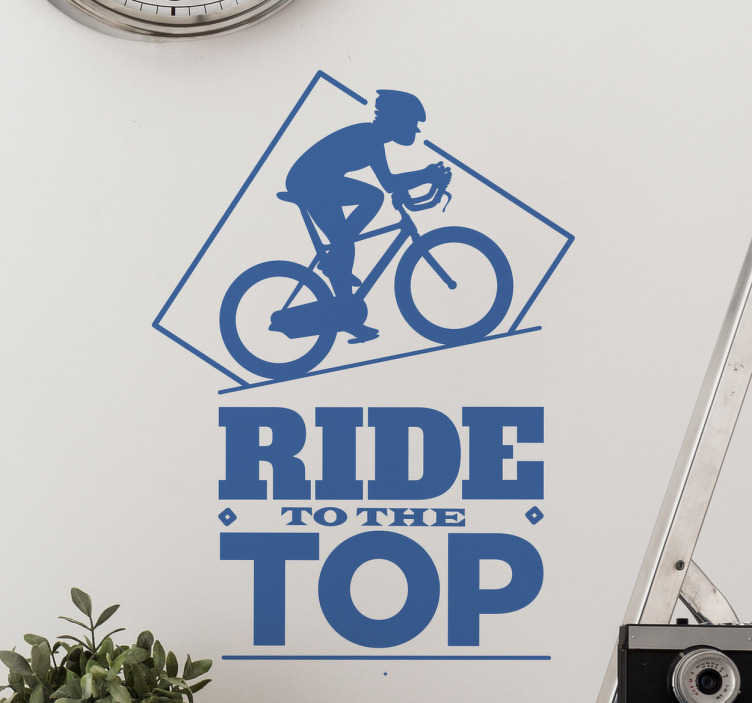 The wall sticker consists of the text "Ride to the top" with a cyclist pedalling up a steep hill. This sticker is available in a variety of sizes and colours.